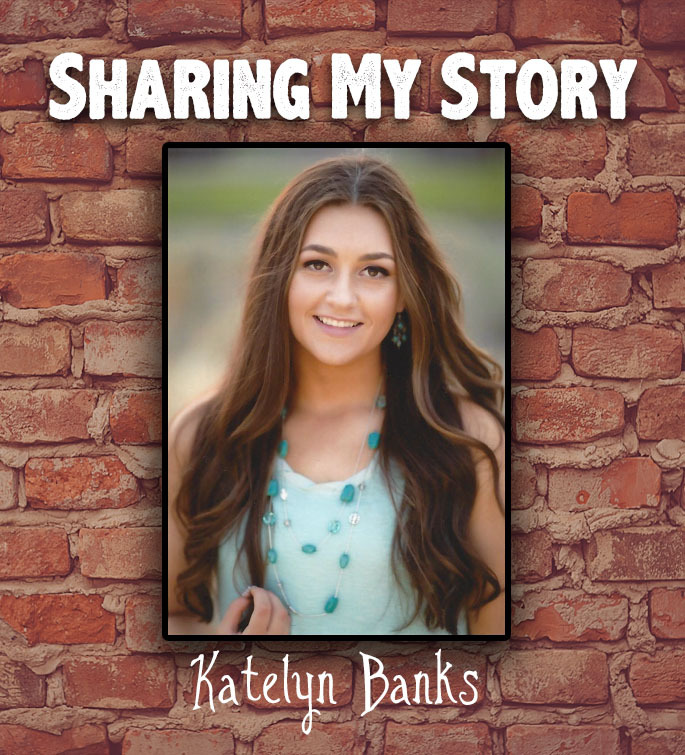 Today we're sharing the Sunnyside Christian School story of Katelyn Banks, a senior at Sunnyside Christian High School. SCS: Hi Katelyn, what do you like most about the education you have received at SCS? Katelyn: It has well prepared me to attend the college of my choice, make wise decisions, and live a happy, faithful life. SCS: Tell us about a teacher or two who has impacted you at SCS. Katelyn: Mr. Wierenga – Although I only had him for one year, Mr. Wierenga left a lasting impression on my life. In the 5th grade, I can vividly remember him encouraging me in my school work to persevere and work hard. Because of his encouragement, I really started putting my fullest effort into my academics. He took myself and a few other classmates to a “Math is Cool” competition, and I remember us having a blast together. He also was a great encourager and supporter of my athletics. Even in high school, he came to some of my basketball games and congratulated me on my efforts. He was an “above and beyond” teacher, and I will never forget his lasting, positive actions toward me. Mr. Smeenk – not only did I have Mr. Smeenk as a teacher for a couple years, but he has also been my high school basketball coach for over the last four years. Ever since being his student in junior high, he has actively cared and supported me in all my endeavors. From academics, to athletics, to being a dairy ambassador, he has been to a lot of events supporting me that were not even always school related. Mr. Smeenk genuinely cares about each and every one of his students and players. We have spent MANY hours in the classroom and gym together. It has been an amazing journey with him as my basketball coach, and I would not change the memories I have with him or my teammates for anything. SCS: If someone was thinking about sending their child to SCS, what would you tell them? Katelyn: When students left SCS, it was usually do to them wanting more opportunities at a larger high school. I was always discouraged and wondered if I was missing out on something by attending a smaller school. However, I am so grateful I stayed at SCS. When you are a student at SCS, every teacher and faculty member knows you by more than a name. You are part of a family. I often took this simple thing for granted. At bigger schools and universities, students are typically known by their first name or number. This is definitely not the case at SCS. I love the relationships that I was able to build with my teachers. They really do care about each student. Whenever I had to miss class, the teachers would be willing to meet before or after school to help me catch up. Theirs is not an eight hour job. I have met teachers at 6 a.m. for help on my homework, seen them cheering me on at a game after school, and even met up with them on weekends for homework help. Their care is very genuine for the students. SCS: How are you involved at SCS? Katelyn: I have been attending SCS since Kindergarten with Mrs. Bos. As I grew older, I became more involved with different activities and clubs SCS had to offer. I was on the student council in junior high for two years, played AAU and middle school volleyball, basketball and softball, participated in the geography bee, and Math Is Cool. In high school I participated in student council, FFA, yearbook, varsity volleyball, basketball, and softball, and honor society. Whether it is being the student council president or captain on a sports team, there are many opportunities for me at SCS to participate in an array of activities, as well as hold leadership positions within all. I developed valuable skills and built my self-esteem through being so involved. Because of my academic achievements and extracurricular activities through SCS, I have been awarded with $83,000 in scholarships to continue my education thus far. Athletics are also a big part of my life. Through participating in sports at SCS and improving as an athlete by my SCS coaches, I was offered Division 1, 2, 3, NAIA, and community college scholarships to continue my passion for basketball. SCS: Wow, congratulations! What is next for you after graduation? Katelyn: After graduation, I will be attending Seattle Pacific University. I will be double majoring in human physiology and biology. I was also accepted into SPU’s BioCORE program. My ultimate goal is to become an orthopedic surgeon.
. So proud of you!! Such an impressive career at SCS, so impressed that you took so many lessons from your coaches and used those lessons to prepare you for life after SCS. Alyssa Haak attended Sunnyside Christian School starting in Kindergarten and graduating in 2012 from Sunnyside Christian High. 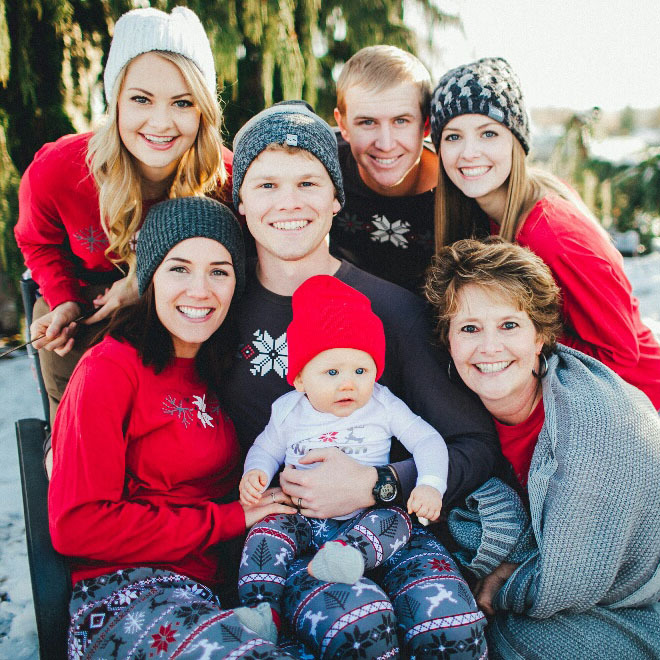 She transitioned into college at Whitworth University in Spokane, Washington, and is graduating this spring with a Business Management degree with an Accounting minor. Recently, Alyssa was awarded an honor for her achievements, and she’s sharing her Sunnyside Christian story with us. SCS: Hi Alyssa, what business award did you just receive at Whitworth? Alyssa: Hi Sunnyside Christian! I received the award for "Outstanding Senior in Business Management." SCS: How were you chosen for this award? Alyssa: This is a faculty selected award based on academic excellence, classroom involvement, extracurricular activities, and upstanding character traits. SCS: How many receive this award? Alyssa: In the School of Business, there were 93 graduating seniors. One person from each major (accounting, econ, business management, and finance) was awarded Outstanding Senior in "X" major. I received the award for the Business Management major. SCS: Congratulations! What a great accomplishment! How did your education at SCS and SCHS prepare you for your education journey at Whitworth? Alyssa: At SCS, I had heard that our curriculum was more rigorous than surrounding schools, but because our school is small and did not have all of the "bells and whistles" of larger districts, I wondered how prepared I would be. Going into my Freshman year at Whitworth, one of my many fears was that I wasn't going to be smart enough for the academic side of college. After changing around my schedule a week before school started, I entered my first semester taking one more class than most other students. Even with an overload, I always felt prepared in every fashion for the school work. Often, my neighbors would complain about how hard college was and how much studying they had to do, but for me it just felt like an extension of high school. Yes, there were other challenges of learning in an environment of peers that don't have all the same beliefs as you, but in terms of being prepared, SCS did a fantastic job! SCS: Who was your favorite teacher at SCS/SCHS and why? Alyssa: Whoa! This is a lot of pressure! There are so many good ones! Two in particular come to mind. The first is Mr. DeGroot. It takes a special person to want to teach junior high students, and what an amazing person to step up to the plate! We got along so well being type-A, detail oriented, organized weirdos! He had intense structure to his classroom, yet still captivated our attention through hilarious stories and his various accents. He was not only influential in my life as a teacher, but he was influential in my life as a bus driver. Living out in the country, we would have hour long bus rides before I was dropped off. I remember going to the front of the bus and hearing jokes, riddles, and having life chats. Mr. D was an amazing teacher, but a lot of my respect for him has to do with the fact that he genuinely cared about me as a human being and not just about my learning. The second teacher that comes to mind is Mr. Gorter. He was our high school math teacher. I don't think Math teachers get enough credit because of the dry nature of the material. (How do you make math fun?!) But, somehow, Mr. Gorter truly made an impact on me. He would read us C.S. Lewis books in his homeroom class and we would discuss the different theological implications in the text. He was willing to share his perspective on faith and he very eloquently answered tough questions that were asked of him. Whenever I have to defend my beliefs here at Whitworth, I often think of the way Mr. Gorter would approach tough questions. Mr. Gorter was a math teacher, but he was much more than that. He was truly invested in making us think deeper about what we believed, and furthering our walk with Christ. He was a great example of integrating faith into every aspect of your life. What a great role model to have going into a world that needs Christ's light! SCS: What would you tell parents who are deciding whether to send their children to SCS? Alyssa: Do it!!! It is worth the investment! One of the greatest gifts my parents gave me was the gift of attending a Christian School. I wouldn't trade one day at SCS for any other school. Not only is the material challenging, but the educational setting is irreplaceable. I got to learn in an environment surrounded by peers who felt like brothers and sisters, taught by teachers who not only wanted to further our education but also further our walks with the Lord, and nurtured by a community who had such love and support for everyone attending the school. SCS: Why is a Christian education worth the investment? Alyssa: I believe pushing yourself to gain knowledge of content is valuable, but what is even more important is knowing that that knowledge is not for our merit at all. We can do nothing apart from Christ. Therefore, I believe that learning in an environment that makes this point clear is essential. My family stressed the idea of bearing "fruit that will last." 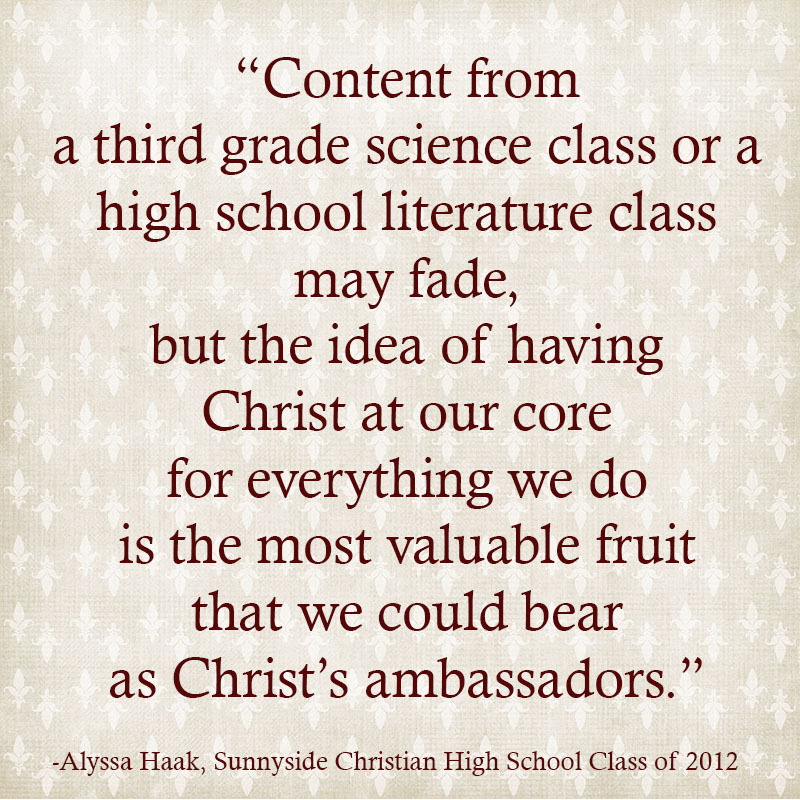 Content from a third grade science class or a high school literature class may fade, but the idea of having Christ at our core for everything we do is the most valuable fruit that we could bear as Christ's ambassadors. SCS: What’s next for you? Alyssa: After graduating on May 22, 2016 with a degree in Business Management and an Accounting minor, I will be using these skills for Haak Farm Management LLC, joining our family business. And on July 9, I will marry my SCHS sweetheart, Dillon Struikmans! SCS: Thank you, Alyssa. May God richly bless you as you follow His leading back to the Yakima Valley! If you have an idea for an Outstanding Alumni, please email your suggestion to Laura Eisenga. Thank you! Why PE is Important...and Fun!